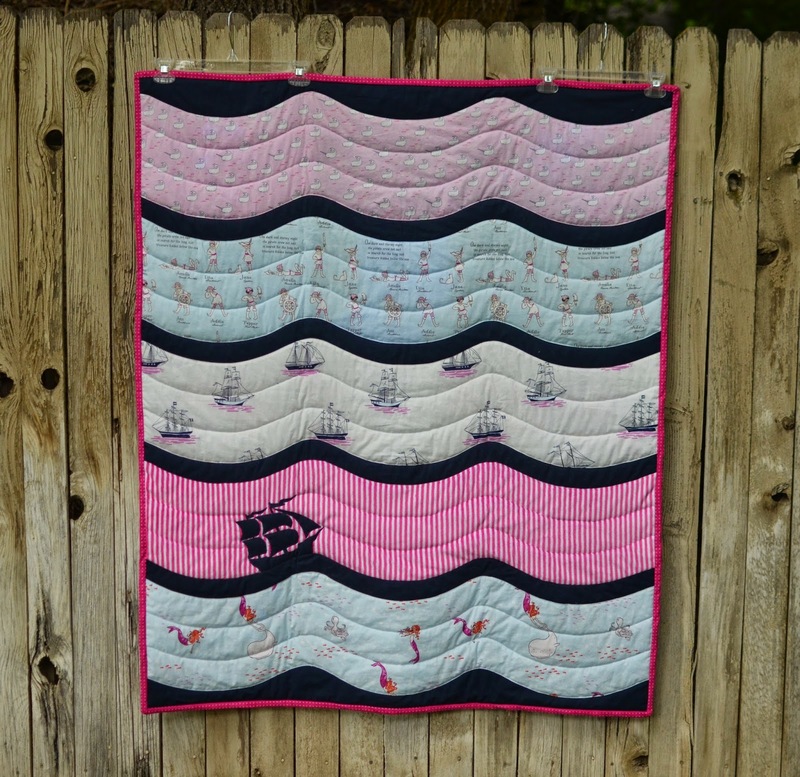 Made By Enginerds: Baby girl pirate quilt! The pink narwhal fabric looked like a snowflake. So, after buying more fabric, having Sarah Jane herself mail me more fabric (so amazing!!!! 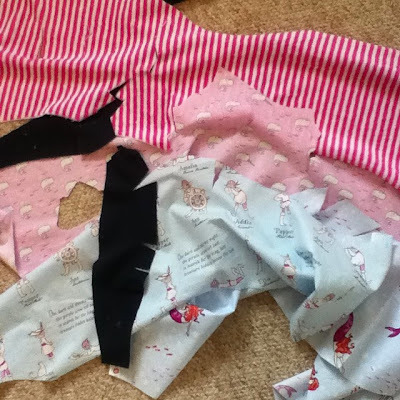 ), re-cutting all the fabric, having to re-imagine the back since I now had so many scraps, I was finally able to sew, quilt, and bind it! And all with 5 weeks to spare before baby is born! Woot! So without further ado, here is the finished quilt! 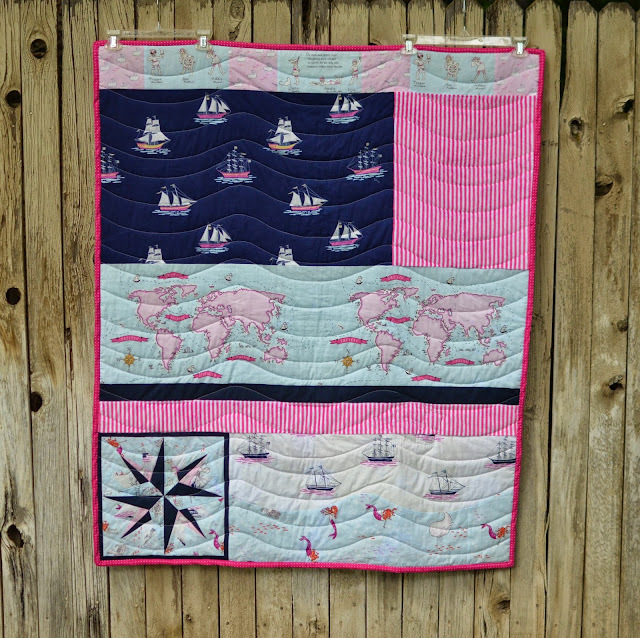 I ended up doing a much different quilt back then I originally intended since I had so many random pieces of fabric left over. 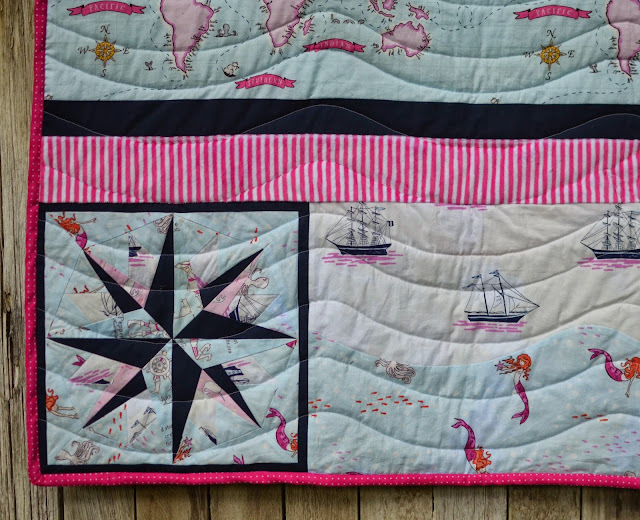 I did some paper piecing to make a nautical star with my smallest scraps, and patchworked the rest. I think it turned out pretty cute! Oh my gosh! I totally love it! It turned out so cute! It is fabulous. Very impressed. I love it! It looks amazing. You are so talented.